Home > What are the prices in Cyprus? What are the prices in Cyprus? 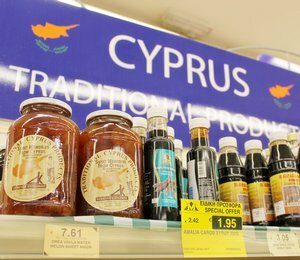 The prices in Cyprus: supermarkets, restaurants, buses, taxis, car rentals, shops, tours and more. Prices for food and drinks, goods, entertainment and travel in and around CY. What are the average prices around Cyprus? How much are the meals and drinks in restaurants, cafes and taverns? Tourists, travelling to Ayia Napa, Protaras, Larnaca, Paphos and other resorts of the island, are naturally concerned about the prices for food, entertainment, public transport (taxi and bus), guided tours, etc. They also want to know (quite rightly) the prices of alcohol in restaurants and other catering venues, as well as the cost of goods in stores and other retail outlets. To the extent possible, we will be answering the questions in the most objective way. It should be noted that the economy of the island remains almost unchanged. Prices in Cyprus have stayed consistent for several years now. Therefore, average Cypriot prices two years ago (and earlier) are just as relevant now as they were then. As you know, Cyprus has been a part of the Eurozone since 2008. Accordingly, all prices are indicated in euros (€). For reference, Spaghetti with seafood costs €8.50, salads may vary between €2 and €9, kebab prices lie between €12 and €16, beer – between €2 and €4. A price for a business lunch or a «set menu» – which includes a series of four dishes (soup, salad, main course and dessert) – may vary between €9 and €12. The minimum cost of a typical, weekday evening meal in a restaurant (which is traditional for Cyprians) is €40 for two people. The menu includes a main dish, a side dish, dessert and a drink (wine, beer or cola, for example). The final price depends on your appetite. Recommendation. Within Cyprus restaurants, the portions are huge. A single portion can typically be shared between two people. And another important thing; if you order a main course (kebab, for example), a side dish and bread are served free of charge. Where is cheaper... 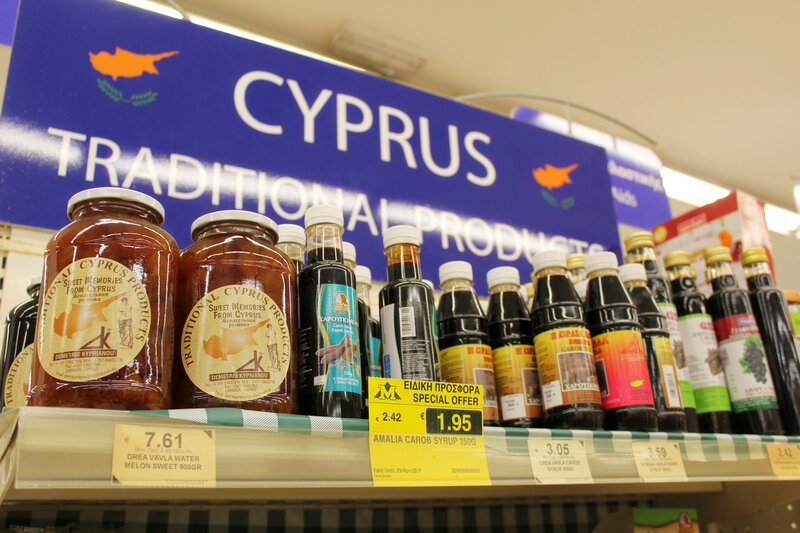 The Consumer Rights Protection Service at the Ministry of Energy, Trade, Industry and Tourism regularly conducts price research in supermarkets throughout Cyprus. In 2008, another raid took place on the largest trade points of the island and compared prices for a number of basic consumer products. And what happened? Prices in Famagusta. Popular resorts of Ayia Napa and Protaras are located in the Famagusta region. Some tourists, in order to save on food, go to the supermarket Kokkinos in Paralimni. And rightly so, because this is the cheapest shop in the area. A set of 184 products costs €440.65. Sklavenitis and Metro were on the same level, where the same purchases were priced at about €450.00. Prices in Paphos. 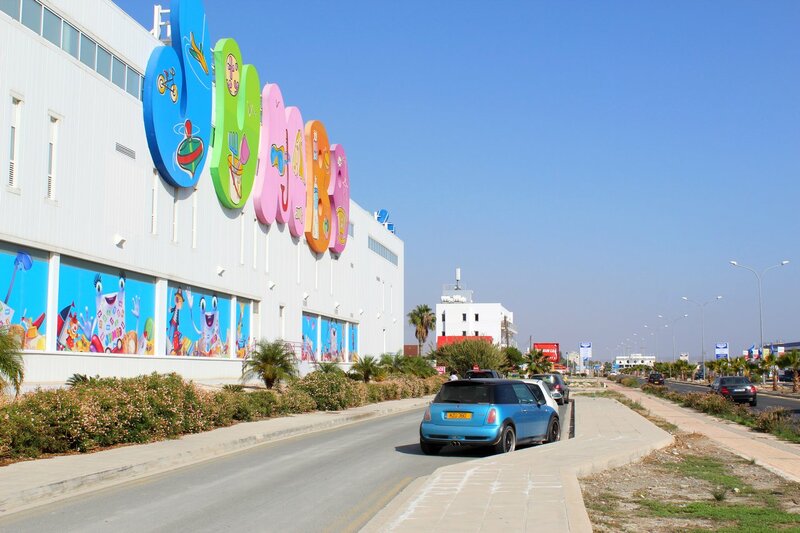 They discovered that the supermarket Sklavenitis (the former Carrefour network) was the cheapest in Paphos. In this supermarket, 173 products were purchased for €447.73. In the shops Papantoniou and Alphamega the total cost turned out to be more. Prices in Limassol. A basic set of products from 137 units in Limassol is the cheapest you can purchase at the supermarket Lyssiotis, where the shopping cart will cost a total of €366.07. The most expensive sum is a result of shopping in Debenhams - €409.86. The shops Papantoniou, Alphamega, Sklavenitis and Metro fell within the «middle class» market. Prices in Larnaca. 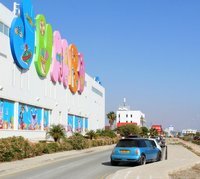 In Larnaca, local residents and tourists are recommended to shop at the Stelios supermarket. To fill the trunk of their car with 154 items, the cheapest outcome will be from this store – costing a total of around €362.62. The most expensive store being Alphamega – at €412.36. Also note that prices for some food in various Cyprus supermarkets may be considerably different depending on the season. For example, fresh tomatoes can range from €0.50 to €2.50, and cucumbers from €0.50 to €3. At the time of sale, prices for food may be reduced up to twice. The Department of Antiquities of Cyprus increased the price for museums, archaeological parks and other attractions, which can be visited for a fee. Whilst initially, tickets for entrance were €1.70 and €3.40, they are now €4.50. Hiring a taxi is the fastest and most convenient mode of transport around Cyprus. 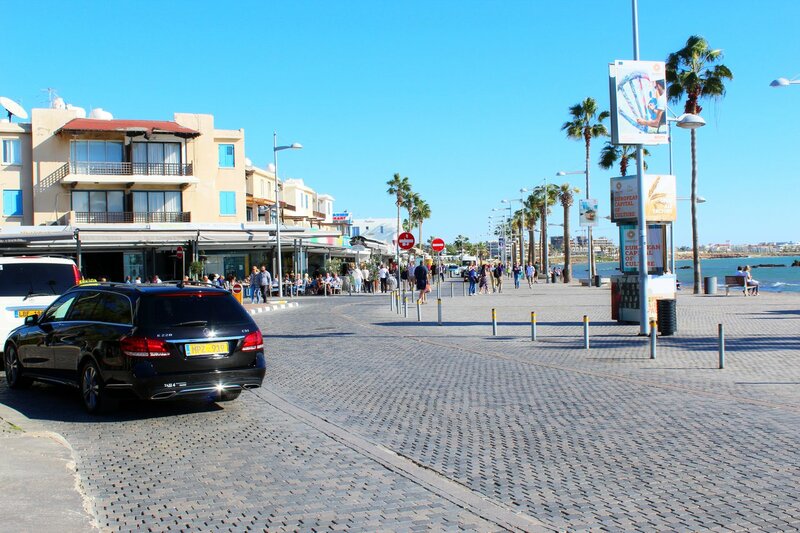 If you arrive at Larnaca Airport or Paphos Airport, then you can book a taxi. The order can be made in advance via the internet, on the KiwiTaxi website. The taxi driver will meet you at the airport with a sign where your name will be written. The driver will then help bring your suitcase to the car and drop you directly to the hotel in time for check-in. If you are on holiday in Cyprus and you need to get to the airport, then make an advanced request and the taxi service will arrange a car for you from any hotel in the resort. If you are planning to travel via taxi, choose your route and go to the page for acquaintance for the details of the order. A taxi from Larnaca airport to Ayia Napa or Protaras will cost €48 upwards. If you split the price between travelers (for example, a taxi booked for four people), then such a trip will be cheaper than the cost of traveling by bus. Ordering a taxi for your arrival is possible — here. See also other routes from Larnaca airport: Agios Tychonas, Ayia Thekla, Anassa, Alaminos, Chloraka, Coral Bay, Dhekelia, Erimi, Famagusta, Germasogeia, Girne, Kapparis, Kissonerga, Kiti, Larnaca, Larnaca Bay, Latchi, Mazotos, Mandria, Nicosia (Southern part) , Oroklini, Paralimni, Paphos, Peyia, Pervolia, Pernera, Parekklisia, Pyrgos, Pyla, Pissouri, Platres, Pomos, Polis, Tala, Tochni, Troodos. By the way, if you need to get from Larnaca airport to Ayia Napa (by bus, by transfer, by taxi), then see how to do it — here. The most common form of transport around Cyprus is a car. Without a car, certain parts of the island can be quite inaccessible. The best way to travel by car is to travel around the island, because the network of roads are very well developed. For tourists who want to explore the island on their own, there is a rental car service available. Traveling by car is for sure the best way to get to know Cyprus! 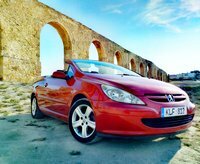 Are you looking for cheap car rentals in Cyprus? Look at the prices from the leading European car rental companies. The cost of the order is an estimate and can vary depending on the availability of additional options, the date of booking, the season and other variables. To book a car, please follow one of the links below. Cost of food at the Anemos Beach Restaurant. Protaras, June, 2016. Prices of drinks (beer, wine, cocktails, etc) at Barbecue Yard restaurant. Limassol, September, 2015. Menu prices at Hungry Horse restaurant. Ayia Napa, June, 2016. Menu prices for Alexander Restaurant. Larnaca, Phinikoudes Road, June, 2016. Prices at Carrefour. Leaflet Special Offers. December, 2015 - January, 2016.